Spring is in the air which for middle Georgia means it is nearly time for the annual Macon GA Cherry Blossom Festival. The 10-day extravaganza is scheduled for March 22nd – March 31st, and with hundreds of events planned, promises something for everyone. A few of the featured events and venues sure to draw a large crowd include a parade, fashion show, gourmet food trucks, various concerts, and a street party. 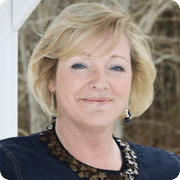 Other events such as plays/musicals, pink pancake breakfast, pet training, classic car show, and a golf tournament abound. 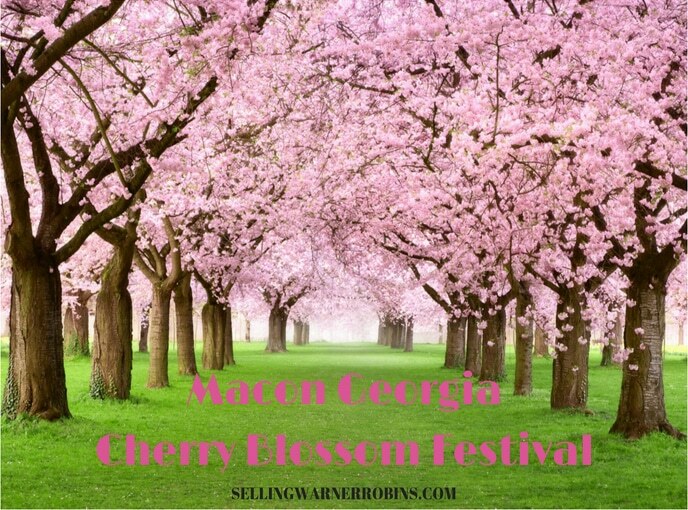 Since its humble beginnings in 1982, the Macon GA International Cherry Blossom Festival has grown into one of the 100 largest annual events in North America, earning the city the title “Cherry Blossom Capital of the World“. Put it on your calendar…you do not want to miss this opportunity to enjoy southern culture in a beautiful setting. Pay one price, unlimited ride specials must be purchased at the midway. On Monday, March 25th, Heroes Day, all Active, Retired, Reserve, and Veteran Military, Department Of Defense Civilian Employees and immediate family, Firefighters and Law Enforcement admitted free with military ID. Parking: Free Everyday – First Come, First Serve! “An Evening of Music” presented by the Bibb County School District Department of Fine Arts & Magnet Programs held at the Performing Arts Center at Central Fine Arts & International Baccalaureate Magnet High School. Come to the Macon Dog Park for live music with your furry companions. Ribbon cutting ceremony to kick-start the Cherry Blossom Festival. Open to the public, come on out to the Macon Arts Gallery for light refreshments and to view featured botanical themed art by regional artists. Enjoy some favorite Italian dishes served by Fountain of Juice under the stars with music, cocktails, and beautiful decor by Canaan Marshall. Eche Salon will be hosting this event with live music by DJ B3, live mannequins showcasing the stylish clothes of designer, Quitman Alexander, a dance performance and voguing lessons by Akasha Giselle Vidalle, and displaying premier floral paintings by Heidi Clinite. Beginner- friendly painting workshop for 18+ years and older. With the help of a local artist you will create a beautiful 11×14 canvas painting. Bring your favorite bottle of wine or beverage. Must be 21 years or older to drink. This concert is a tribute to Prince with an electrifying performance by artist, Bobby Miller and talented dancers and musicians. Pancake breakfast hosted by the Macon-Bibb County Fire Department with all proceeds benefiting the American Cancer Society. Annual two-man team golf tournament on the Historic Bowden Golf Course. The REAL Impact Center, Inc. is hosting the fourth annual Girls will be Women in STEAM Conference targeted at 3rd through 8th graders with hands-on workshops centered around science, technology, engineering, agriculture, and math. Registration for this event ended on March 8th. Open market featuring 60+ local arts, crafts, artisan, and farm vendors. Interactive show that features the popular Sesame Street characters. You won’t want to miss the zany entries, all vying for the “fastest bed” title. Teams of five members will participate in a bed race with only one member on the bed and the four others pushing. Team creativity and themes are greatly encouraged. Come out and see who will win the title, “Fastest Wiener Dog in Middle Georgia,” with a Dachshund dog race. Come out and watch the Macon-Bibb County Fire Department give it their all in this annual competition. Learn how to turn a copper pipe into unique jewelry in this hands-on workshop taught by Darlene of Freestyle Art & Design. Come meet the team, cheerleaders, and staff of Macon’s Professional Arena Football Team, the Georgia Doom. An evening of dining and dancing with this year’s theme showcasing the country, India. Delight in Indian cuisine by Cast Iron Catering, entertainment by Atlanta Party Band Papa Sol, and dancing performance by Kruti Dance Academy. Reservations required and black tie optional. Come out to see the theatrical tribute to Rock’s biggest musicians with Snake Oil’s musical artists impersonating rock icons. Visit the The Middle Georgia Regional Library on Poplar Street and even check out books with your PINES library account or apply for one while there. The Cherry Blossom Worship Service will have worship and fellowship to celebrate love and international friendship within the community. Come out to enjoy a variety of songs sung by the talented youth choir ranging from ages 8 – 18 years old and conducted by Dr. Richard Kosowski, Director of Graduate Studies in Mercer’s Townsend School of Music. Come out and walk or run in the Fun Run/Walk or 5k race benefiting developmental disabilities. All participants will receive a t-shirt, children will receive medals, and 5K entrants are eligible for age group awards. Come out and see the 38th Cherry Blossom Parade that strolls the historic downtown with floats, marching bands, performers, military units, and more! You can also grab a spot on Wesley Glen Ministries Road to cheer on the participants in the Road Race for Wesley Glen. The Conquest Show Band specializes in R & B from present day to the 60’s, and also plays a variety of genres. Come on out and see them perform! Celebrate the founders of the Cherry Blossom Festival with cupcakes from Felicia’s Cake Factory and BBQ sandwiches by Mrs. Griffins, while supplies last! Little Carnegie of the South will feature Macon musician, Louise Barfield, with a concert and reception. No children under 8 years old permitted. The beautiful historic St. Joseph Catholic Church will be holding a concert featuring The Colony IV Brass quintet, organist Nelda Chapman, and timpanist Rob Sumowski. See The Blues Brothers Soul Band perform a variety of songs ranging from Soul to Blues. Come enjoy afternoon tea in the Neel Reid house with jazz music and a 1920/30’s fashion show. The historic American Red Cross will be hosting the Cherry Blossom Tea featuring a pink hat decorating contest with judging at 3pm and awards at 3:30pm. Come in your best pink attire and self-made hat! Atlanta based tribute band, Rumours, will be performing free with paid park admission. Come out and ice-skate with the Mayhem hockey players, as well as take pictures and get autographs! Come relax and yoga with Sparks Yoga! Join Pur Barre of Macon for a workout with their pop-up class in the park! Come enjoy a concert by multi-instrumentalist, Randall Bramblett! Enjoy an evening of sweet songs performed by the Middle Georgia Concert Band! Come out to enjoy a night of music and entertainment with AJ the DJ. Bring your children for a story-time in the park and to receive a gently used book while supplies last. Come watch the ice hockey game between Macon Mayhem and Knoxville Ice Bears. The first 1000 fans will even receive a team photo! Evening of fellowship hosted by The Rev. Marvin Sapp with many performers. Come out with the family and enjoy a movie under the starts featuring Disney Pixar’s film, Coco. Come out and see Michelle Marshall perform as Tina Turner! No matter your age you can compete or play with chalk for fun at the sidewalk chalk festival! Family-fun event with proceeds benefiting Big Brothers Big Sisters that features 5,000 ducks racing down the Ocmulgee River at Amerson Park. The lucky duck winner will win $1,000! Gourmet food trucks from the South offering delicious culinary trends for purchase. Come out for a tailgate party at the Macon Centerplex in preparation for the 2nd Annual Cherry Blossom Celebration with a game between the Georgia Dome and the Carolina Havoc. The largest shopping and arts festival in Middle Georgia featuring hundreds of vendors! Come out to the Macon Centerplex for the 2nd Annual Cherry Blossom Celebration with a game between the Georgia Dome and the Carolina Havoc. Street Party in Central City Park featuring Drake White and Travis Denning. Cherry Blossom after party at Crazy Bull featuring Trey Teem and Murphy Elmore. Come out to the historic St. Joseph Catholic Church to hear renowned organist, Gail Archer in concert. Final day celebration with live music from Macon Pops and hot air balloon rides. Hot balloon rides will end at 8:30pm at which point the firework finale will begin. Come out to hear a wide variety of music by the ultimate party band, A2Z. If you are interested in specific events it is encouraged to visit, Cherry Blossom’s featured events. The 38th Anniversary pin has been designed in collaboration with artist, Kelby Haugabook and produced by Apparel Authority. Come one day or several and enjoy all the Macon GA Cherry Blossom Festival has to offer! I won’t miss that festival next time. Thanks for the post.